Following up such a powerful debut in first single Goldbrick was never going to be easy, but Baldwins have truly topped themselves on Dirty Sheets. It’s smooth, jazzy, soulful and absolutely billowing smoke. The rhythm section hits with sublime precision, those horns gently wafting in the air are just delicious and the vibrant guitar licks chiming in here and there are the cherry on top. Did we forget to mention the out-of-this-universe vocals from singer Courtney Josh? Because hot damn, her pipes have a jetpack attached to them and positively soar across this track. Dirty Sheets switches tempo and changes directions on a dime multiple times across its five minutes but it never feels muddled or unsure, just a hell of a tune brimming with swagger and confidence and their sonic diversity is nothing short of breathtaking. The music video, directed by Nick McKinlay and Ro Miles, complements the song perfectly, featuring Josh wandering the streets of Inner-West Sydney’s Ashfield. 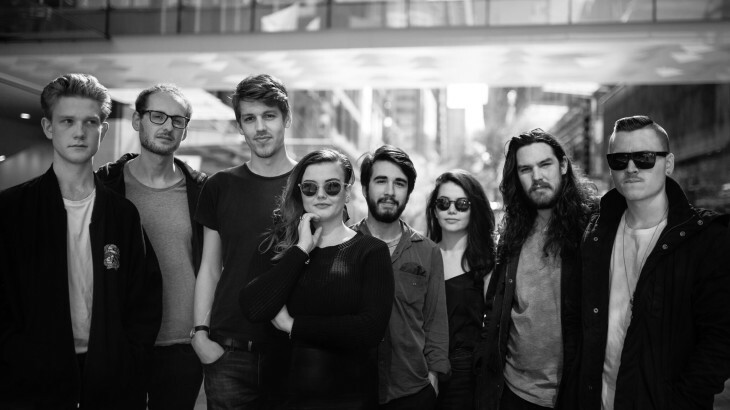 Baldwins will also be heading out on a tour of New South Wales in March ahead of their EP release. You can do yourself one gigantic favour and check them out live at the dates below. We’ve definitely got our eyes on Baldwins in 2017.